I was looking over some things on OnRPG, and I noticed a glaring error: Some of our work is horrifically out of date! 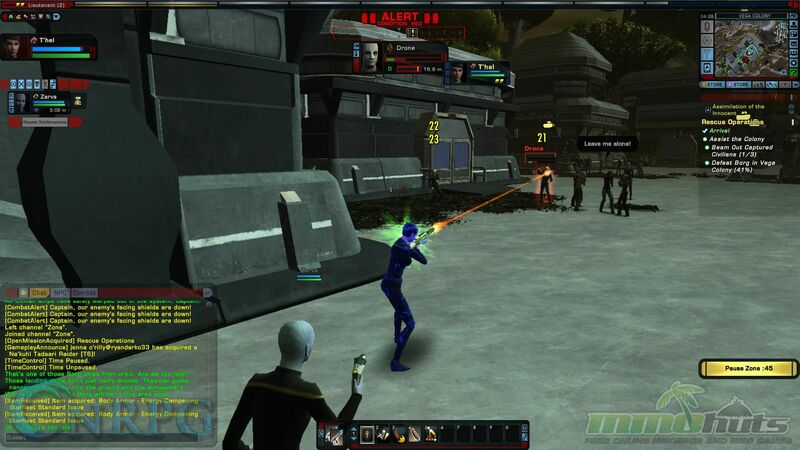 One of the most grievous of the offenders though was Star Trek Online, a game that has been out for quite a few years now. But our main review of it is particularly out of date. So much has changed in the game since the 2010-13 era, so I feel it is appropriate to go into my personal thoughts of how the game has evolved since then. 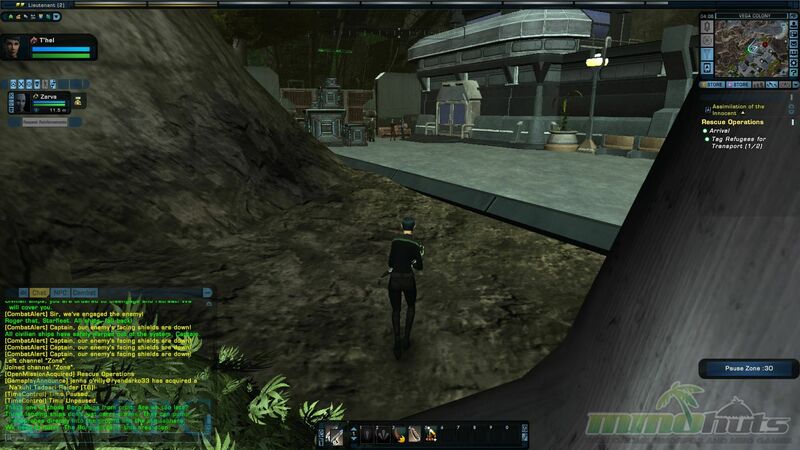 However, I have not been a faithful follower of the Star Trek MMO, because I had WoW and FFXI [and now XIV] to play. While yes I do love Star Trek, my personal preference is TNG. So I had to do some research! Luckily, I had the time to do just that. I will say that Perfect World Entertainment has done an excellent job of being true to the franchise in a lot of different, but pleasant ways. I still haven’t seen Q yet, but I’m holding out hope. 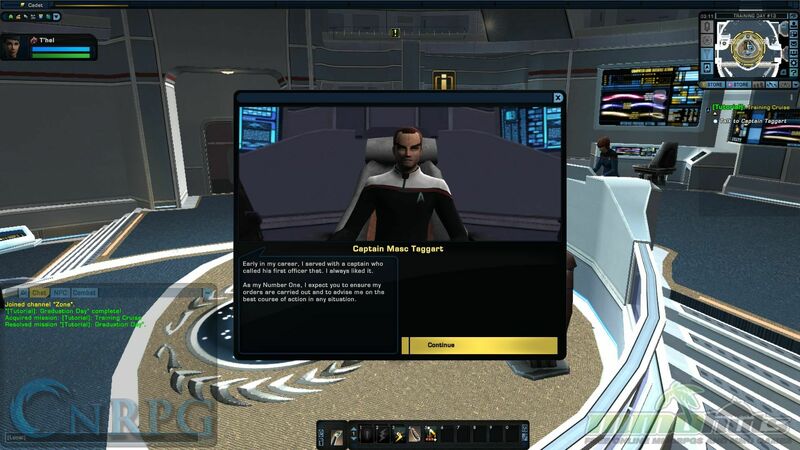 With the third expansion, Agents of Yesterday, arriving this week I felt it was time to take a nice hard look at Star Trek Online. 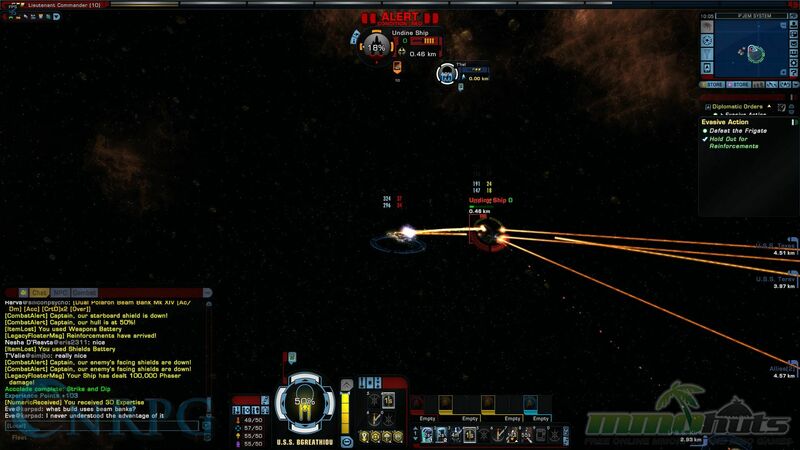 What IS Star Trek Online? 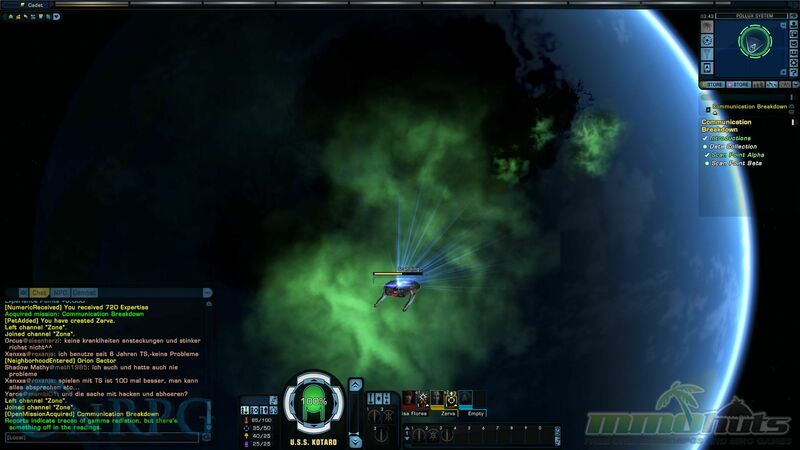 It’s an experience for one thing: You play as a Captain in one of several races/factions, experience a gripping series of stories, and mix it up in combat whether in outer space or down on the ground with your away crew. Authenticity is the key here, and I really think they have it. I’d also like to note that my personal favorite race is playable, the Ferenghi, and that makes me happy as only a Trekie can be. 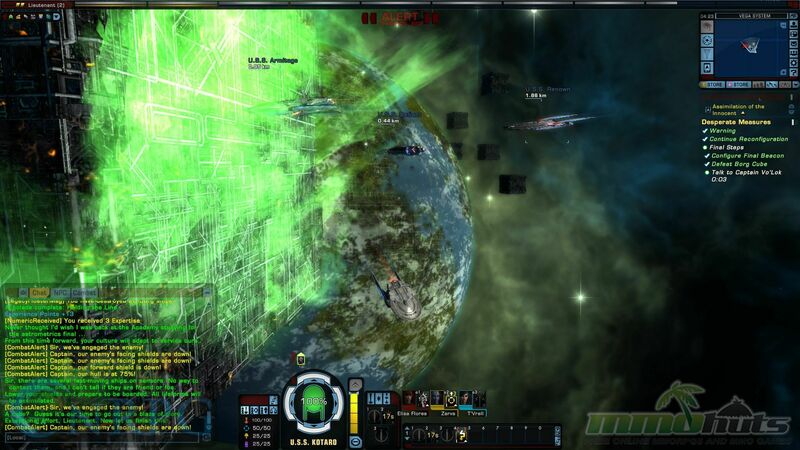 Still there’s plenty of room left for unique and unusual story telling as STO evolves, such as a mission series focused on playing as the Borg! After all, in Agents of Yesterday, you make a new character to take part in the wacky time-travel shenanigans so that you may experience some “Original Series” action, complete with some fantastic voice work as we cover in our dev Interview focused on ships, planets, and storylines. But as far as the current story, the most important thing is that it is fed to you in doses. It is presented in episodes that can take a good half hour to hour to complete. Not everyone has four hours to dedicate to one set of quests, and coming back to that later can be jarring or can completely kill motivation. The game is far more accessible as far as the story goes, compared to launch. Yes, there is an overarching story, but you aren’t required to do it at once! If you want to, you can fly around and explore the system. We’ll get to travel in just a little bit. 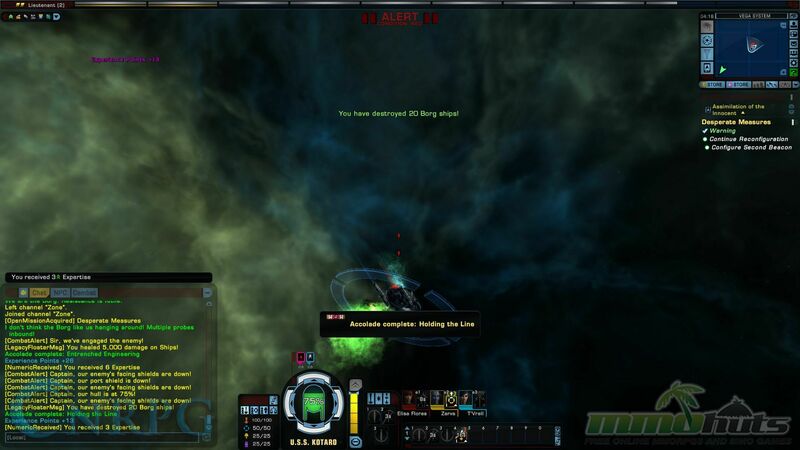 However, Star Trek Online allows players to ingest the story in doses that would be used in the actual series, typically culminating in some kind of physical calamity [in space or otherwise]! How do you get to these events? In a starship of course. There are SO. MANY. SHIPS. 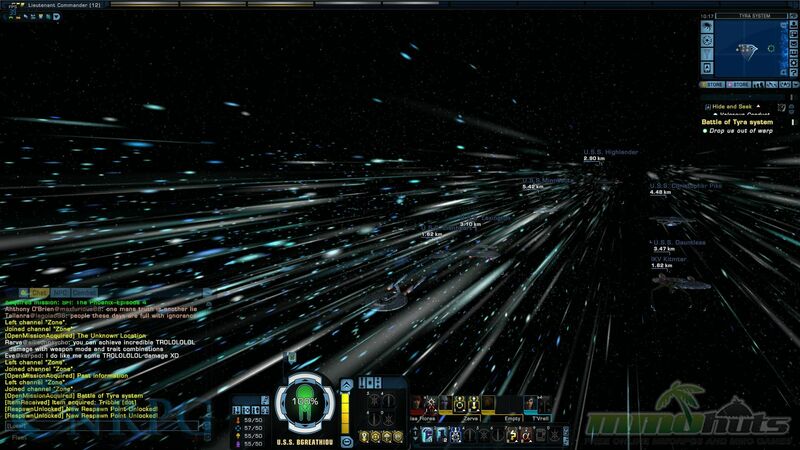 I thought I knew a fair amount about Star Trek, but I really didn’t realize just how many bloody ships there are. And they don’t all handle/play the same. Sure, your first starship is basically garbage, but you can customize them however you please. As time passes you can unlock and use a variety of them. 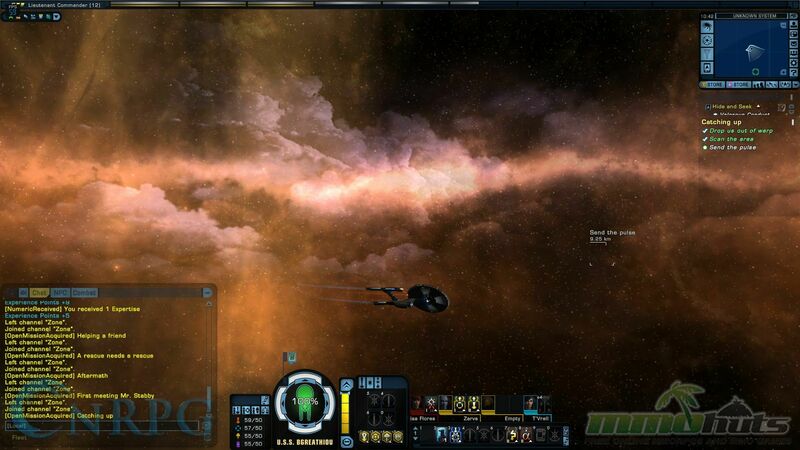 I think in my current play on my character I have three or four ships? Possibly more. 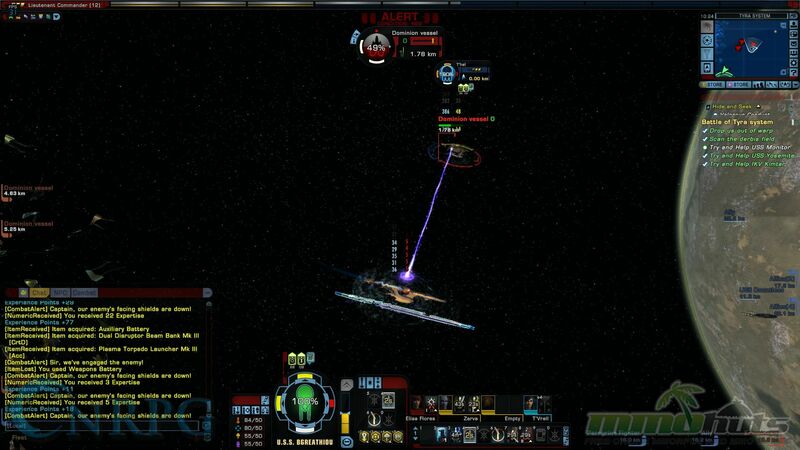 But you can equip them just as you can players, with photon torpedoes, a variety of power sources and cannons. That’s not all either! Your crew isn’t just for show. Your main crew, which can also be your Away Team, typically fill roles on the crew such as Engineering, and offer utility powers you can activate while in battle. 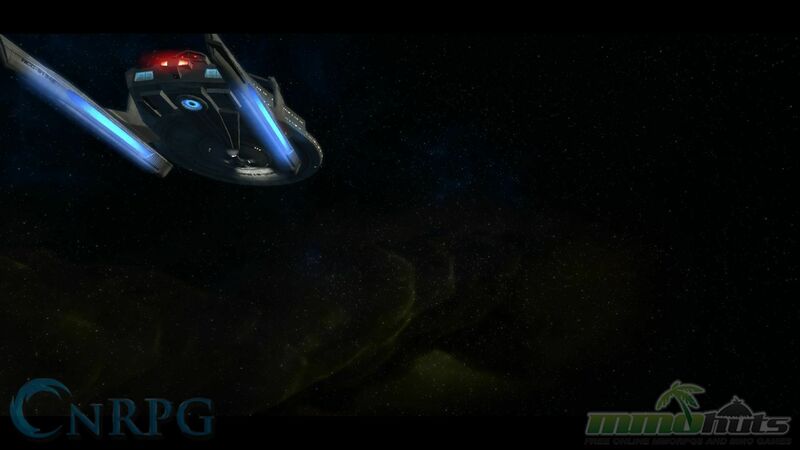 These will increase damage, shields, regeneration, and so on, adding an element of tactics to assigning crew members to balance your strengths as you see fit. 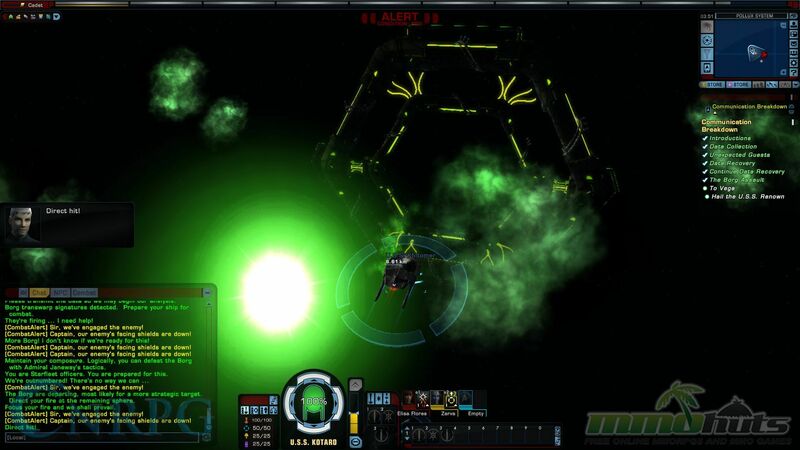 As you level, you also gain talent points for the ship as well as your character which is nice. The way it used to work, is that you had a shared expertise pool. What this could mean is you could be super strong in say, ground combat, but you would also likely make your starship worthless without amazing equipment. This requires way too much work, balance and time that frankly, I’m not investing. Now they have separate pools which is much, much better. They resemble the old World of Warcraft trees with fairly predictable things like more health, more damage, et cetera. But that’s not bad. You don’t have to re-invent the wheel to make something worth enjoying. Now you can do with two to three points what might have taken up to ten in the old settings! It was ten points a tier, for amounts of growth that simply didn’t feel worth it. The choices you make feel like they matter more; I don’t feel like I’m dumping points into something that simply isn’t worth it. Expertise is pretty much gone too, but it is involved in your Bridge Officers; it doesn’t serve you as a player anymore, but it does go towards your Officers, and that’s just as well. They need to be strong too, right? 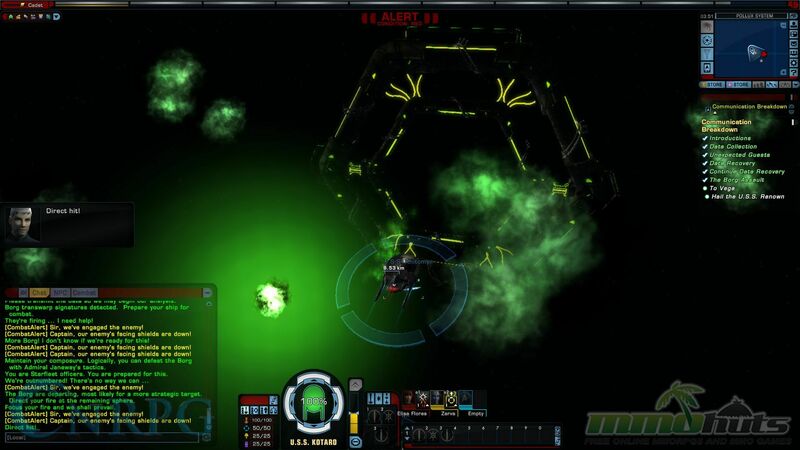 Crippling Fire [Space]: Your Critical Hits reduce your target’s Accuracy. 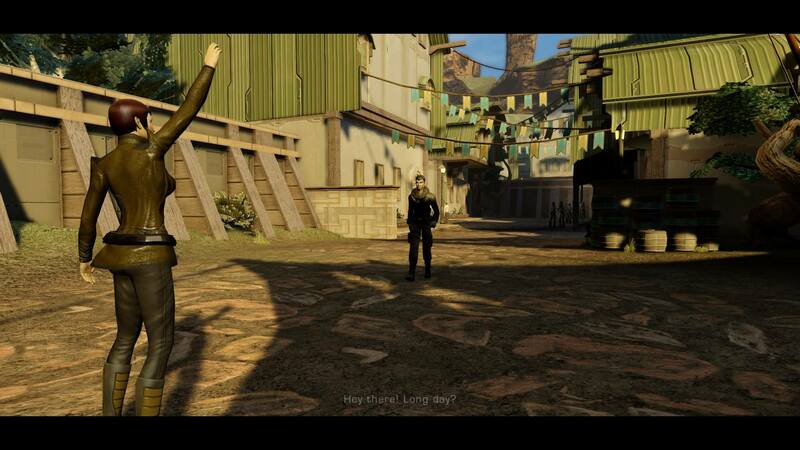 Situational Awareness [Ground]: Grenade powers you use will expose their targets. Character creation has so many choices for race, too. 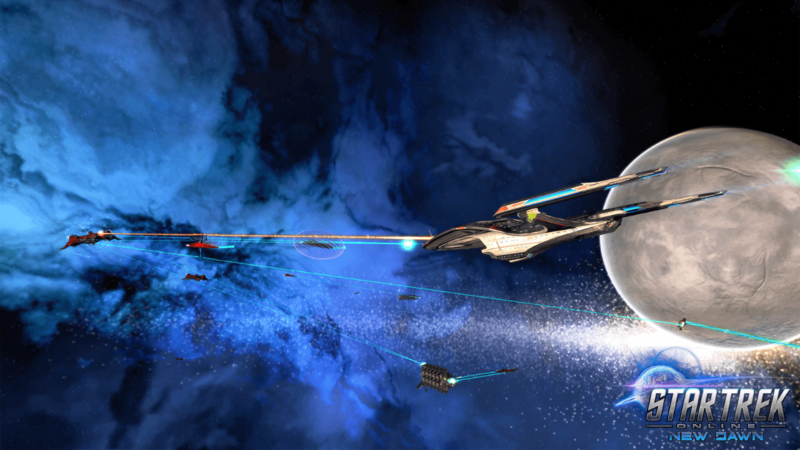 It doesn’t really matter which you play, any race can go with any career path, but each faction has certain races that belong to their federation. It all boils down to what group you want to immerse yourselves in! 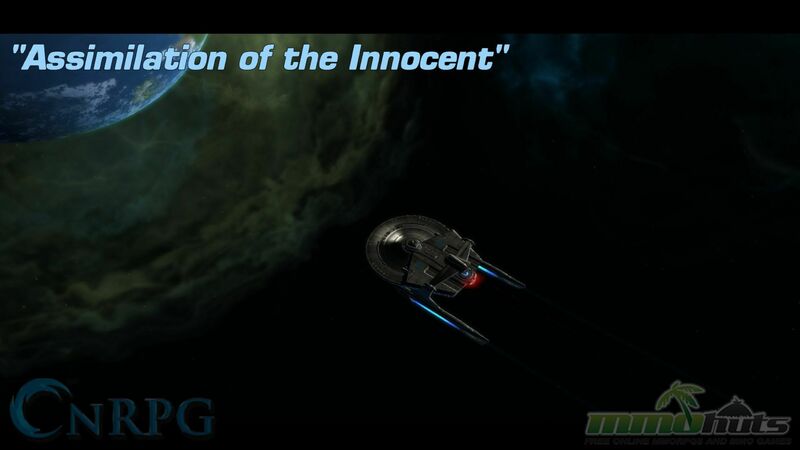 Personally, I go with Vulcan or Ferenghi, because that’s just how I roll; but it doesn’t matter! At the end of the day, you can play whatever your heart desires, and so many different races are available. Yes, some of them have to be purchased, but that is entirely up to you. It’s not like content will be denied to you because you aren’t a Federation Klingon! Let’s talk Officers for a moment; in particular, Duty Officers. 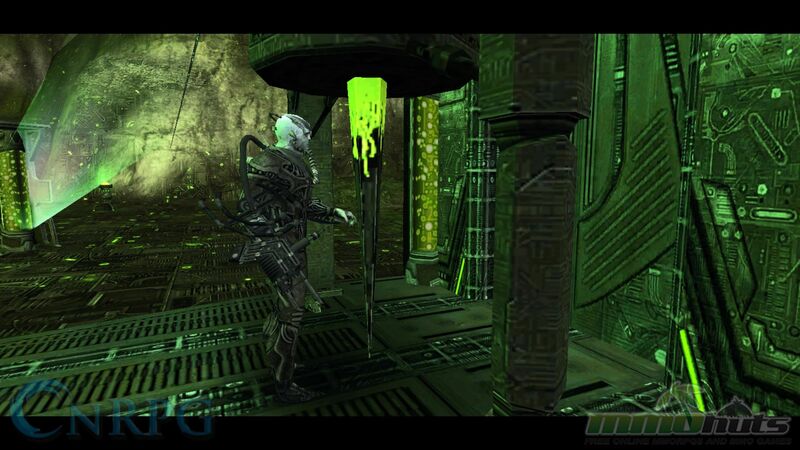 It’s a system similar to something you find in Neverwinter, but I do believe STO had it first. 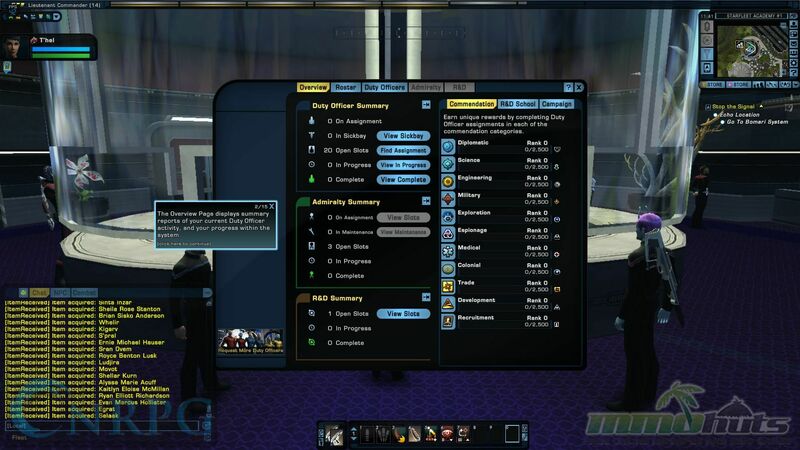 You have a crew of officers on your starship – folks that you don’t take with you on missions. But what do they do? Nothing? Of course not! They have to earn that paycheck! Depending on what traits/skills they have, they can do certain missions which have a cooldown/duration before they are completed. It’s basically a ‘commit resources and wait’ system, which isn’t bad because I hate most crafting/missions systems. 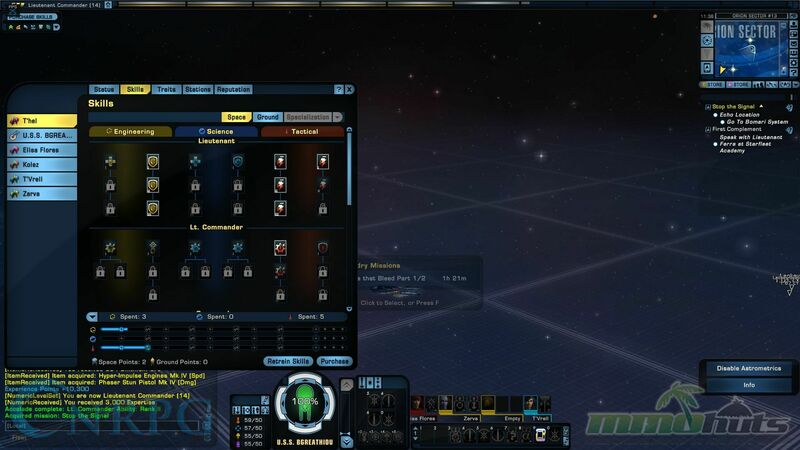 A lot of these require certain resources, and at least now, more of these can be made via replicator [created for an amount of credits], but not all of them. There are special resources that require you to travel the stars, seeking people willing to sell it to you. Cardassian alcohols are a prime example of that. More generic things can likely be replicated, but special, species specific requirements? You’re gonna have to take flight! There are Duties that require special characteristics too, like Psionics or Survival. 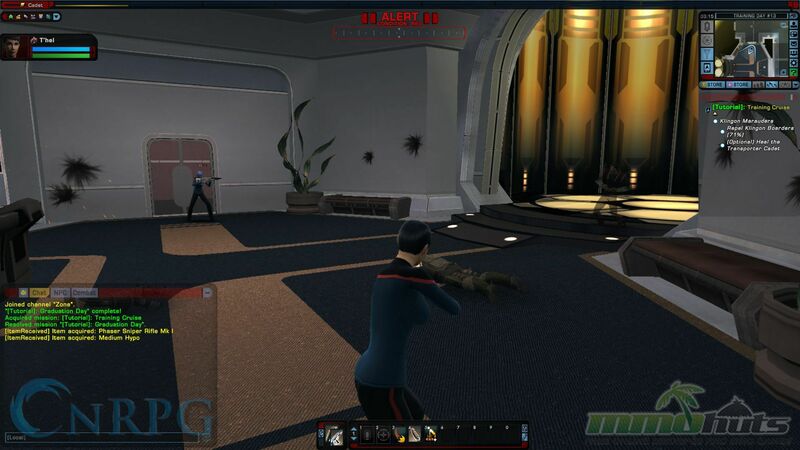 It’s just another feature piled on top of the every growing list trying to immerse you into the world of Star Trek, giving the rest of your crew a purpose while your main characters are out being awesome. I personally am not super wild about the system. 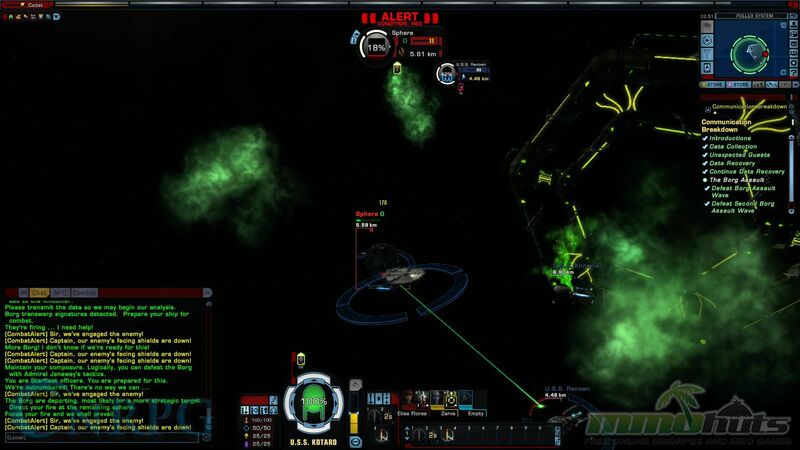 I think it’s neat, but I often find myself forgetting about it, because it’s not something prominent on my screen amid all Star Trek Online’s distractions. This is not a perfect game, don’t get me wrong. For people not familiar with the franchise, they might become quickly overwhelmed at how much this game throws at you at one time. They won’t get the intricacies of character interaction, may not be familiar enough with the game jargon, or get the significance of certain equipment. Does that make it a niche’ game? Nah, I don’t think so. The Star Trek fanbase is gargantuan. 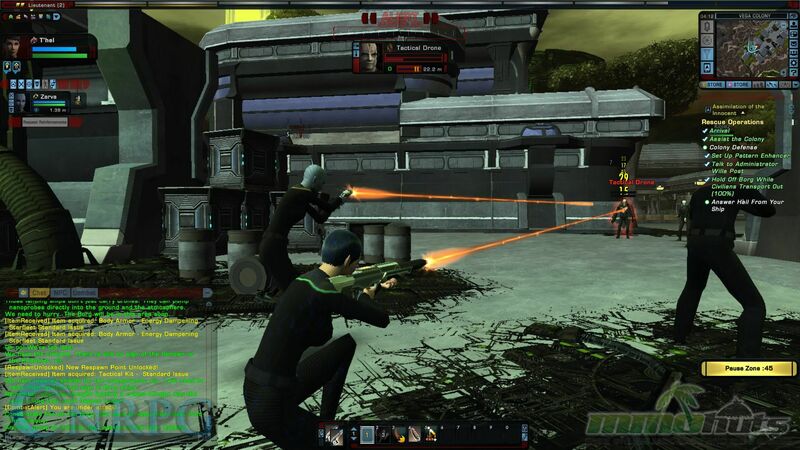 But they have definitely fixed this game from when it was just ran by Cryptic. For example: Travel. Travel. Was. So. Slow. In the time it took me to write this, I probably could not have traveled a few sectors over at the very most. 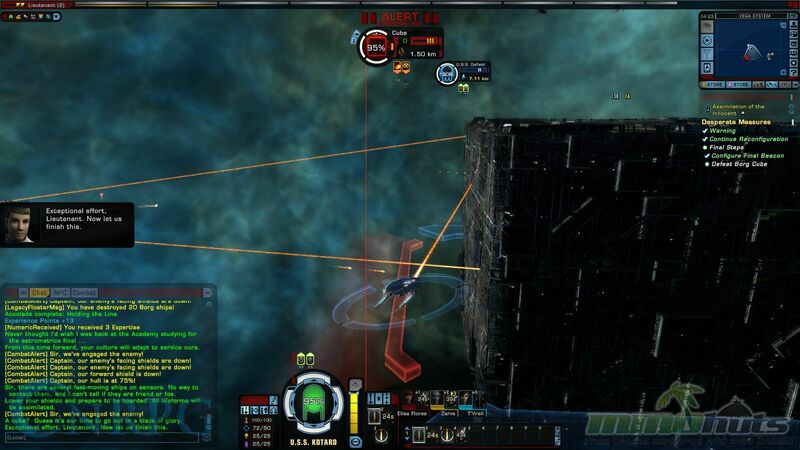 However, now you can fly from one end of the quadrant to another given the same time. 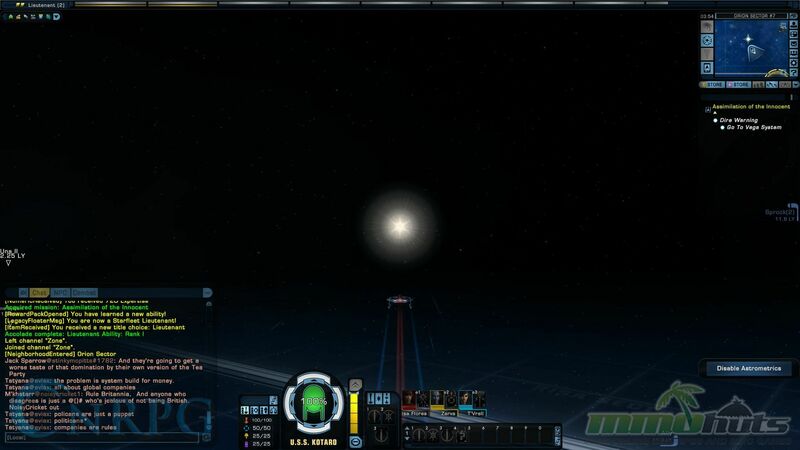 You can activate auto-pilot to travel exactly where you want to go in space. Now it’s a matter of seconds to get some places instead of having to wait ten minutes plus! Also, when you hit a new sector, you’d stop moving and have to start up flight again – frankly a horrible outdated system. I hated it. To the point I can rejoice knowing it’s no longer the case. It does fall into some of the same traps that every MMO goes into though. Most of the missions out in space I found were: Scan things; intercept things; now that the enemy has appeared, kill those things! Sure, it’s fun to fly around in space, fire photon torpedoes and stuff like that, but it’s still going to feel incredibly tedious a few missions in. At least it’s easy to complete an episode and take a break. 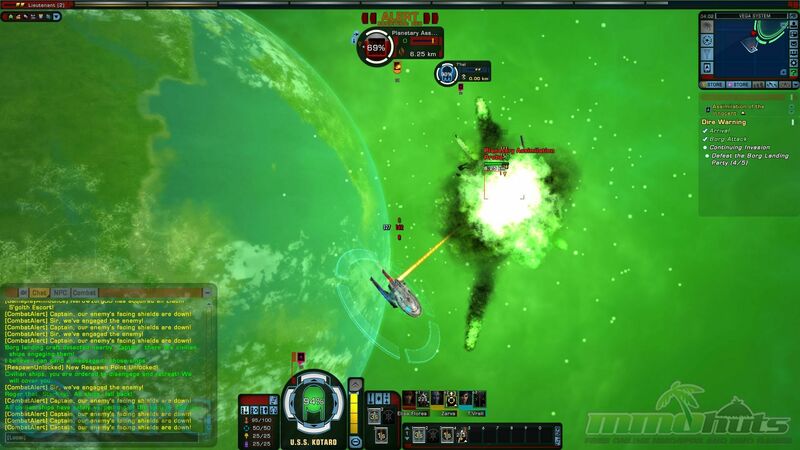 Some of the ship battles can be terribly overwhelming and stilted against you, but that’s the nature of the beast. The Away Team instance missions are fun, but the movement still feels awkward and robotic. These missions almost always feel incredibly easy. I haven’t done them all of course, but the ones I went through I absolutely obliterated. 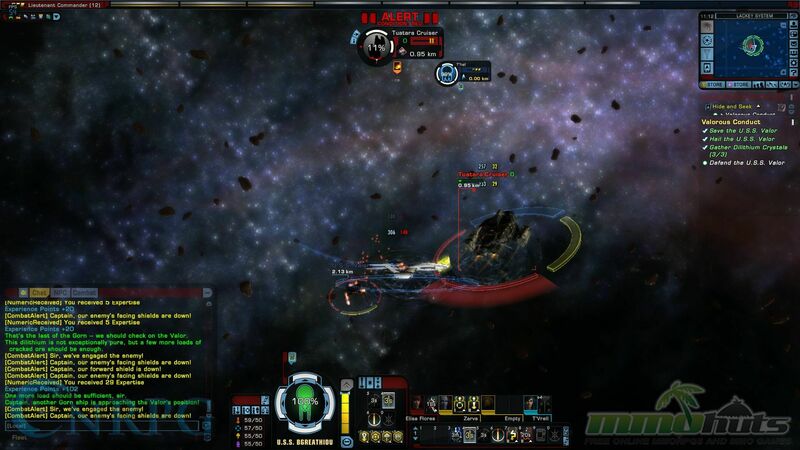 My away team was an efficient asskicking machine free of redshirts. Winning was so expected that the intensity simply wasn’t there. I feel like there should be more political missions, involving diplomacy, right and wrong choices, shades of gray. Things that impact the universe you play in. That might be tricky in an MMO but perhaps this could be done in a server wide event? For example: All three factions have decisions to make in a storyline and the majority of their choices made influence where the story goes from there. 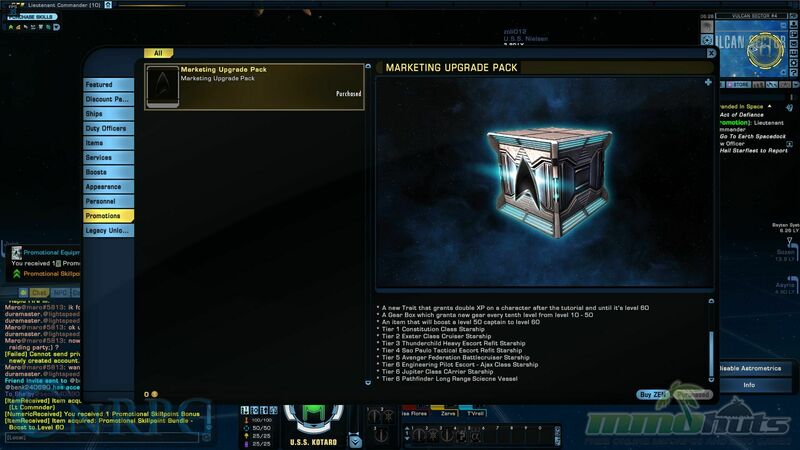 This is just an example of something Star Trek Online could do to really excite and immerse the audience in a new way. But the missions, while short enough to do at once, feel very repetitive and frustrating as you enter the grind to repeat them under the guise of a new narratives. Speaking of which, the tutorial itself starts you off with a taste of the grind. I appreciate a good tutorial that explains things, but damn! I was still in the tutorial at level 8 or 10. Even with these criticisms, the game now is lightyears beyond the state it was at launch. It’s really come a long way and Perfect World Entertainment continues to listen to their audience and will likely continue to grow for years to come. 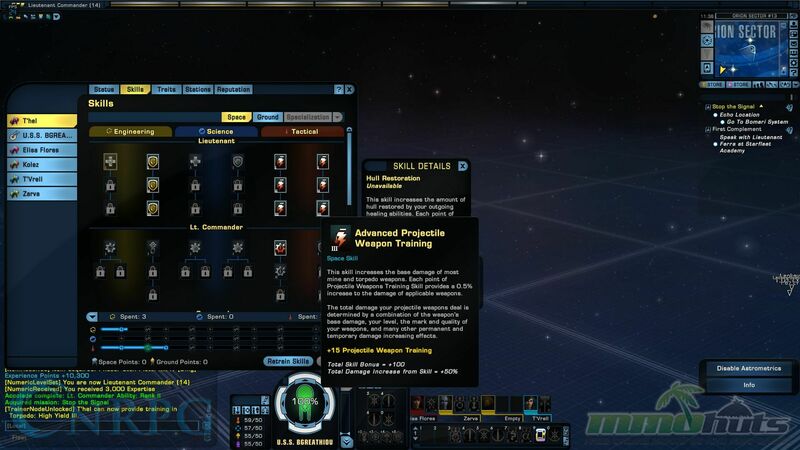 With so few surviving options in the free to play sci-fi MMO genre, Star Trek Online is still safe from assimilation for years to come.